Left your checkbook and cash on the kitchen table as you rushed out to make the BOC | NETWORKING morning meeting? Click the link below to make a payment and get squared with the BOC! Note: Payments are processed through PayPal, but you do not need to have—or establish—a PayPal account to pay directly with your credit card. 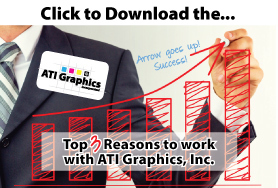 Your credit card statement will show payment made to ATI Graphics, Inc.